The spring and summer may be the best times of year to sell your home, but that doesn’t mean it can’t be done in the other seasons. Actually, there are advantages to selling your home in the fall and winter. For one, there will be less competition, which leads to a more serious buyer pool. Also, waiting to sell during the colder months means you can spend your spring and summer focusing on improvements that can ultimately add value to your home. So, don’t lose hope if you missed out on selling during the height of the buying season. You can still get your home off the market at a good price. With that in mind, here are six steps that can help you sell your home during the cold weather months. When trying to sell your home, you will want to have your home ready to show at all times. If your house is on the market during the holidays, chances are you will be busier than ever with activities unrelated to the home-selling process. That’s why it is important to know how to quickly stage your home to look its best in the event that a prospective buyer drops in. Taking out the trash, putting dirty dishes in the dishwasher, retracting the drapes, and turning on the lights can make a big difference in your overall presentation. Hopefully, your real estate agent will encourage you to use photos of your home in the spring or summer as your marketing photos. It’s important for your property to look as appealing and inviting as possible, so it’s best to showcase your home without dead grass and leaves on the ground. Along with your marketing photos, it can help to have a photo album or digital presentation you can show to buyers when they visit your home. Just because it’s not mowing season doesn’t mean you can let your landscaping slide. If you want to sell your home, maintain curb appeal by minimizing the leaves on your walkways and lawn. Also, adding mulch around your garden beds and rinsing your siding before the icy weather hits can help maintain your home’s appearance. Lighting is critical when it comes to selling a home. After daylight savings time ends in November, the days get especially short, and many of your showings could occur while it’s dark outside. It’s not a bad idea to put additional floor lighting throughout the rooms. Installing landscape lighting can also brighten the visitor experience. When buyers visit your home in the fall or winter, you want to show them that your heat works properly. Bring in a maintenance team to inspect your system and have them mark a magnet or sticker with the date. While you’re at it, change out your HVAC filters, and make sure all your windows and doors are insulated and weather-sealed. As difficult as it may be, you will need to show restraint with the holiday decorations. Decorating can add the perfect amount of warmth and charm if you stick with modest and tasteful furnishings. However, you don’t want your home to be so decked out that it distracts the buyer from envisioning themselves in your home. Just because your home wasn’t on the market for the spring and summer months doesn’t mean you’re out of luck. 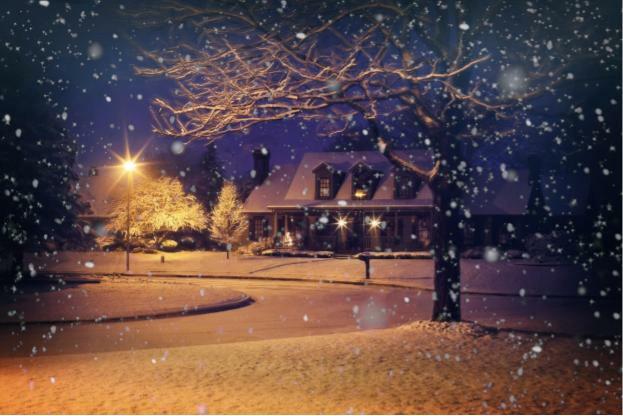 It is possible to sell your home for a good price when it’s cold outside! Embracing the season and following these steps will help you get there.